Bad news for the folks who are still on the Maks and Meryl shipping train. We've got some proof that Maks Chmerkovskiy is havin' a grand ol' time with Jennifer Lopez, and that proof is... his words. He said to TMZ that things are "going great" with the actress-singer-entrepeneur-dancer (yup...dancer. So much for our scientific reasoning that Maks and Meryl Davis were destined to be together because they are both dancers). But of course, we need to acknowledge that Maks's comment that things are "going great" with J. Lo wasn't in a serious sit-down interview. The paparazzi was cajoling him, and he may have just said those words to make them hit the road. It also might be — dare I say it — another P.R. ploy. 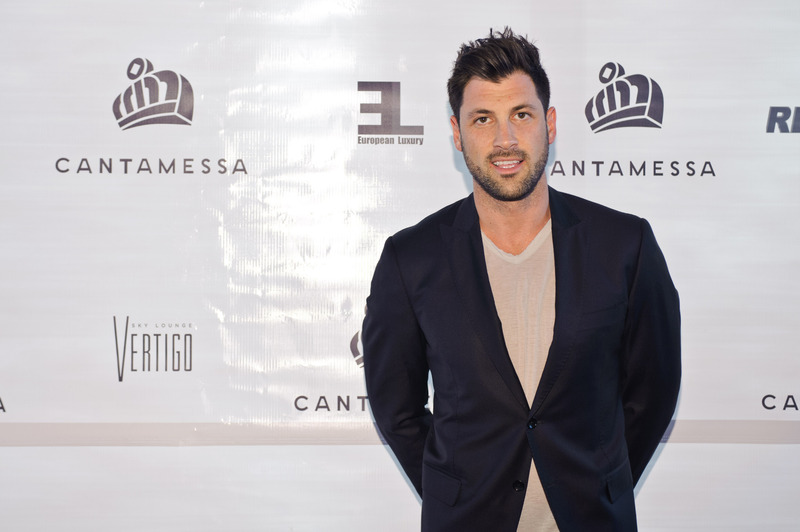 You can see in the video that Maks's publicist is the Publicist To End All Publicists, Power Girl, Lizzie Grubman. Was she the mastermind behind the showmance that was Maks and Meryl? Is this Maks and J. Lo thing actually happening, or is it also just a P.R. move to keep him in the limelight now that Season 18 of Dancing With The Stars has come to an end?